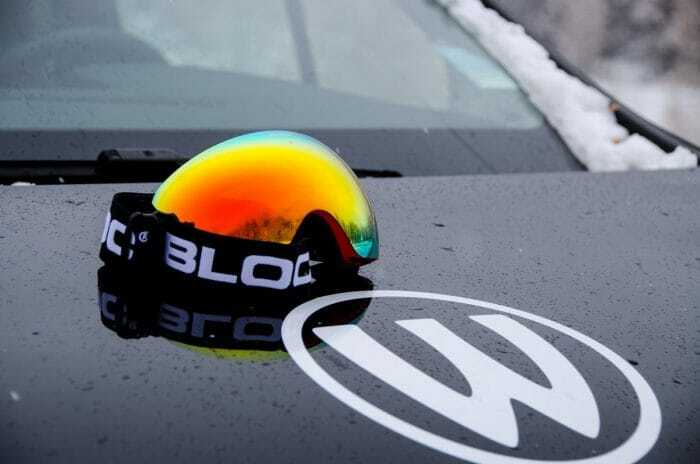 Last year we teamed up with Whiterides Airport Transfers to promote our goggles and sunglasses, and we are happy to announce that here at Bloc Eyewear we are continuing this partnership into the 2018 Winter Ski season. Whiterides are based in the French Alps and transfer thousands of skiers and snowboarders from a range of airports including Geneva, Lyon, Grenoble and Chambery through the Tarentaise valley. With over 10 years’ experience in the ski industry they pride themselves on their safe and reliable driving, especially in the tough snowy conditions. Their director Daniel Barnett enjoys driving so much that you can still see him out in all weathers, so don’t be surprised if the “boss” picks you up and feel free to pick his brain on anything ski, snowboard or Les Arcs related he loves it all. 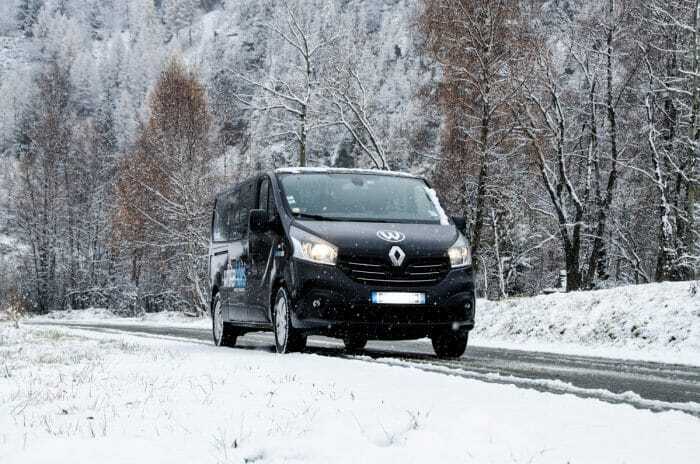 Offering a private transfer service with a fleet of high end Renault Traffic Minibuses Whiterides will provide a safe and comfortable transfer to your ski resort. All the minibuses are equipped with snow tyres and snow chains and every driver has been trained and has experience in snow driving. Each long wheelbase minibus can hold up to 8 passengers, plus luggage, skis and snowboards. Whiterides offer free child and baby seats as required, so everyone is welcome to enjoy the alpine snow. Once you arrive a driver will meet you directly at the airport or train station and take you through a range of beautiful Savoie towns and villages passing mountain lakes and spectacular alpine scenery on route to your accommodation. 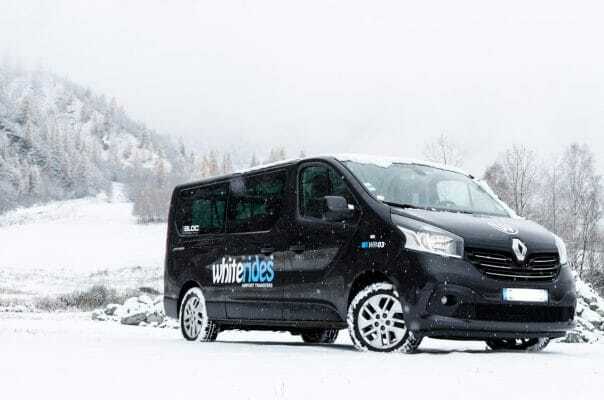 Whiterides minibuses regularly drop off in the well-known ski resorts of Courchevel, Meribel, Les Arcs, La Plagne, Tignes and Val d’isere as well as some of the more smaller resorts such as Sainte Foy, Les Coches and Peisey-Vallandry and of course they will pick you up at the end of your ski holiday and get you back to the airport safely. You will see their drivers wearing both Bloc sunglasses and goggles on the piste as we provide the Whiterides team with all their eyewear. At Bloc Eyewear we offer a large range of high protection winter goggles and sunglasses for skiing and snowboarding as well as mountain biking. You will see the Whiterides team wearing both Moon 2 and Jump goggles from our range this year. It is vital to protect your eyes when you are skiing and snowboarding so wearing goggles or sunglasses on and off the piste is a must. Using the latest eyewear technology for all our lenses you are protected from harmful UVA and UVB rays up to 400 nm. The feedback so far from the team at Whiterides, who also wore Bloc Eyewear last year, is they love them! If you are looking to book a ski holiday to any of the resorts above or others in the Three Valleys, Espace Killy and Paradiski regions in the Alps this year, we can highly recommend you get your airport transfer with Whiterides, and why not pick up some sunglasses or goggles before you go! Keep a look out for both discounts and competitions by following the Whiterides website Facebook page, and on Instagram.